Homeowners have little to worry about with the 2017 changes to the federal tax code. The jury is out for residential property investors until the new code is clarified. However uncertain the outcome may be, Florida remains a good place to generate passive income through rental properties. 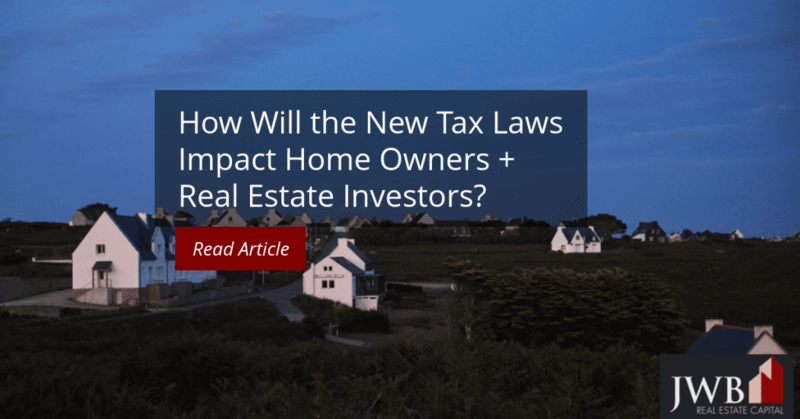 How Will New Tax Laws Impact Home Owners + Real Estate Investors? Under the new code, the interest deductions have been capped at $750,000 for primary and second homes across the board. Properties purchased before 12/31/2017 are exempt from this rule. Unlike New York and California, the value of the vast majority of homes in Florida and Jacksonville fall well below this threshold. As of November 2017, the median home value of single family homes in Jacksonville stood at $165,000 and townhomes/condos at $117,000 according to Zillow. The U.S. Census Bureau released projections of home value in Jacksonville, which estimated that just 11 percent of homes in 2016 had values over $300,000 and just 0.9 percent of homes were over $1 million. Florida shines at its low rates of taxation. It has no state income tax and the local sales taxes are low. In Duval, property taxes are levied at $1.01 per $1,000. The total amount that taxpayers can deduct federally is set at $10,000. While some households may feel the cap on SALT and property taxes combined, the pinch won’t be as bad as it will be in other high taxed states, cities and places. Housing and tax expert believe that the limits on the mortgage interest deduction could reduce the demand for high end homes because of the cap, while others point to the increase in standard deductions that could lure more households into the rental market, since many would-be homebuyers will lose the tax incentive to buy a home. Some renters, particularly millennials, are still shy about buying a home versus renting, since they witnessed the real estate crash that started a decade ago. With the increase in the standard deduction, it may not be as financially lucrative to own a home as an investment compared to putting money into other financial markets. The reluctance to own versus rent is good for real estate investors, as well as their ability to pay taxes at a lower rate through their status as pass-through entities. This rate will range from 21 percent to no more than 29.6 percent. Many higher income sole proprietorship and partnerships were taxed on their income as real estate investors at the 39 percent rate. The corporate rate will drop to 21 percent. Until the experts interpret the new tax code, investors should be encouraged. It was written to favor those who earn investment incomes and real estate is widely regarded as a big winner. The pass-through and corporate rates are substantially lower. Most of the homeowners and those aspiring to buy their own homes won’t feel the limits on mortgage interest deductions and property taxes in Florida and the Jacksonville area.